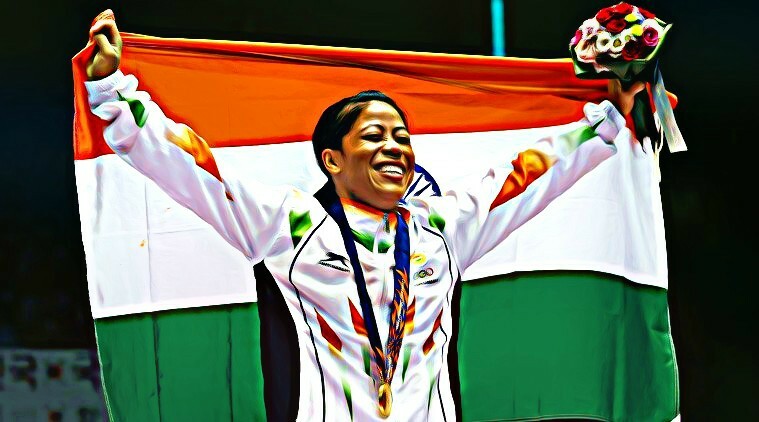 Mary Kom is an Indian woman boxer with an Olympic medal. Her full name is Mangte Chungneijang Mary Kom. She born on 01/03/1983. Mary is not one but 5-time champion of World Amateur Boxing. She owns the record of being the single and only woman to earn a medal in 6 world championships. She won a bronze medal in London Olympics 2012. In the flyweight category of World Rankings – AIBA, she stood at 4th position. Apart from boxing, she loves martial arts too. She is Padma Bhushan awardee and was very much inspired by another Padma Bhushan Awardee Asian games medalist in Boxing – Dingko Singh of Manipur. She has won uncountable awards till date. 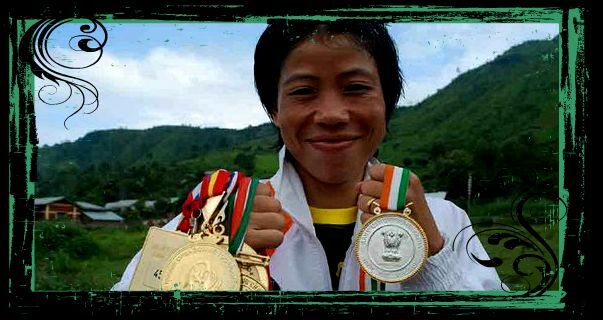 Mary Kom’s Biography is very interesting for all the ladies specially for those who are interested in boxing and sports. Lets see some most important factors of her life. She was born in a small village named Kangathei of Manipur. Her parents were very poor and were working in fields of jhum for earnings. 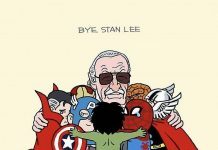 She handed the responsibilities of her three younger siblings gracefully. From the very beginning, her aim was to remove poverty from her home. Mary studied from different schools. She changed a lot of schools during her educational tenure. Mary was not a scholar and was totally in sports. She even failed in school but was a champion in other sports apart from Boxing. Her parents were against boxing but she knew her strength and passion and decided to continue her passion at any cost. Manipur State Boxing Coach Narjit Singh played a vital role in her training. He not only gave her boxing training but made her learn social and living skills too. She even did street fighting for fulfilling the needs of her home. But she always had to hide her boxing gloves from her parents especially her father who didn’t consider boxing as a ladies sport. Her marriage is also an interesting part of her life. She got proposed by a handsome man named K Onler Kom in New Delhi when she was going for National Games 2001, Punjab. Onler was studying in Delhi University when the couple fell in love. In 2005, they decide to marry. Finally after 4 years of dating, the love birds got married in 2005. They have 3 children and 2 twin sons. Her husband always motivated her to continue her boxing career. She also trained a lot of unprivileged for shaping their career. After 8 years of break, Mary took part again in International events and won Silver and Gold Medal in Asian Games and AIBA respectively. Mary Kom won Asian games Gold medal in 2014 in 51kg category of boxing and made India proud. London Olympics was one of the most prestigious events of her life. Mary arrived in London with her mother and husband. She took part in 51 Kgs women Boxing Competition for the first time and won bronze medal in it. She always fought in 46 and 48 Kgs but there the minimum category in Olympics ws 51 Kg for which she gained weight specially. Proud on her efforts, Manipur state government announced to give her 5o lakhs plus few acres of land. She also carried Indian flag during 2012 London Olympics closing ceremony. 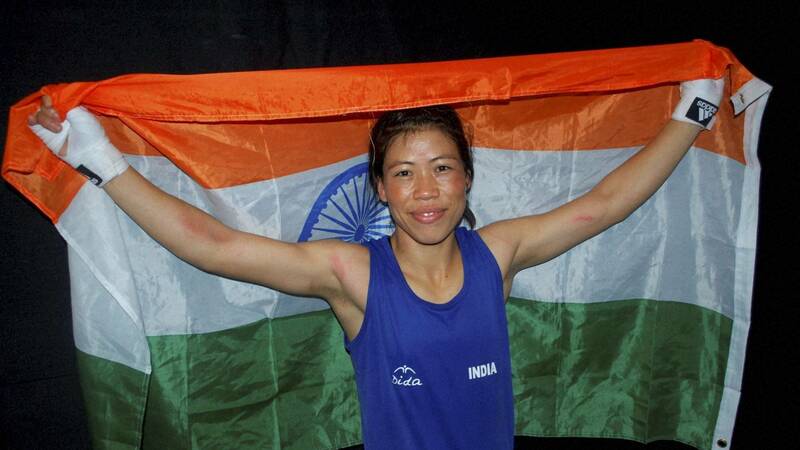 Mary Kom’s life is an inspiration for youngsters. One of the talented Bollywood directors known as Sanjay Leela Bhansali decided to make a film on her. 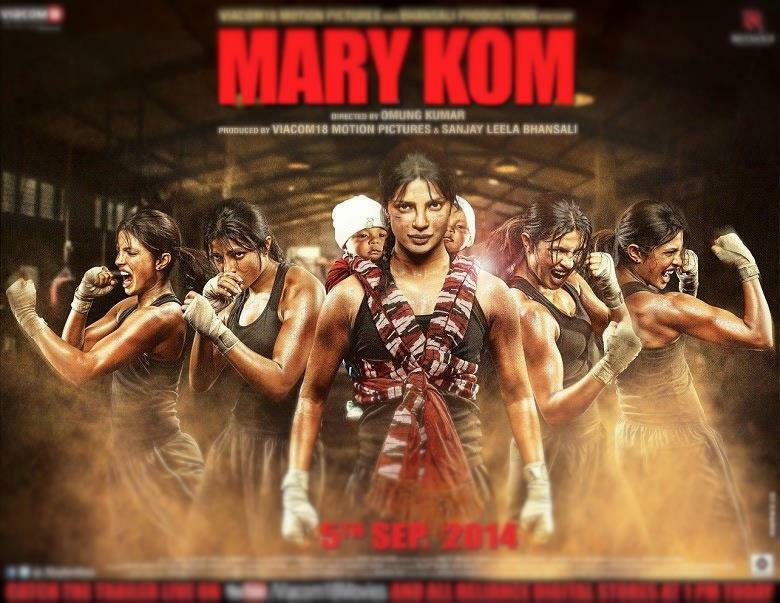 Priyanka Chopra is the lead actress in film and this movie is going to rock the cinema houses on September 5, 2014. The movie has already created a lot of buzz and Priyanka Chopra even commented that she could have done this movie for free. Do check List of Hit and Flop Movies of Bollywood Actresses. “Unbreakable” is the name of her autobiography which she released in Forum Mall, Bangalore on December 11, 2013. She also started a female club for fighting in Imphal, Manipur. Ladies of different ages are allowed to learn various fighting skills to defend themselves from any kind of sexual and evil practices against them. Mary Kom biography is no doubt an inspiring one.